Peri’s Hotel is an Athens Airport Hotel located just 10 minutes by car to and from the airport, making it the most ideal choice, of all Athens Airport Hotels, for your stay. 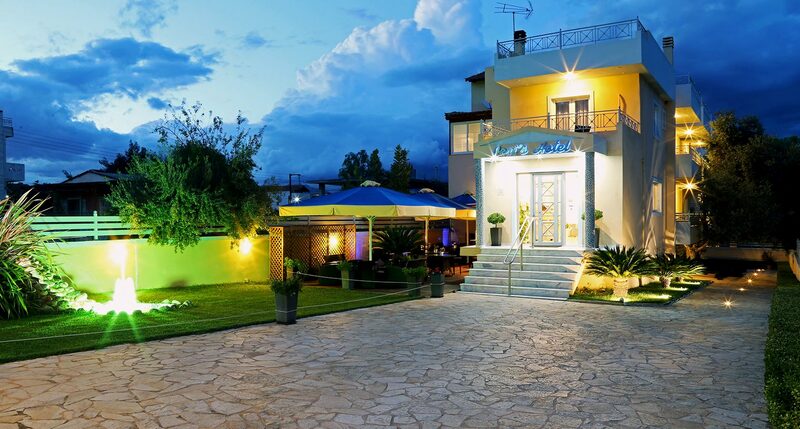 The hotel is situated in the seaside resort town of Artemida (Loutsa), in a tranquil location surrounded by the most serene and hospitable environment. It offers comfortable rooms with all the amenities you desire, easily accommodating up to four people. Our courteous and well-trained staff caters to your every need, offering you exceptional service to ensure you have a pleasant and comfortable stay. Peri’s Hotel is a two-star Athens airport hotel which operates all year round (January 1 – December 31). Hotel Management offers you free shuttle service to/from the airport. What a great little hotel. Collected from the Athens airport and only some 10 minutes away down the road. 15 minutes walk down to the sea, and restaurants aplenty. Comfortable beds, pleasant rooms, and then the next morning - even if it is early - a transfer back to the airport for the next flight. A great place to use for a stopover like that. And of course great value for money." Stayed at Peri's hotel on 2 separate nights, great little place that will meet all your needs for a quick stay. 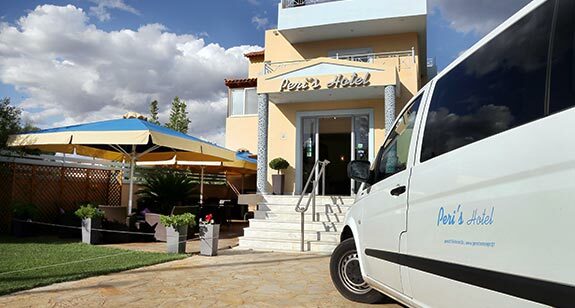 They provide pick up and drop off service to the Athens airport which is included in the nightly rate, as well as a lovely breakfast. Rooms are clean and the staff are very nice." Stayed at this small family run hotel over night en route from Dubai to Naxos. Chose it because of its location (very) close to the Athens airport. Transport from and to airport is arranged. Nice rooms at a very decent rate. Very clean. Good beds. Coffee/tea in room. Good bathrooms. Very friendly atmosphere. Walking distance to restaurants by the sea and nearby supermarkets. Will definitely return. Thank you Peri's." We appreciated the spotless state of this little hotel in rural Athens close to the airport (about a 10 minute drive). We got picked up at 11pm and taken back for our flight to Santorini the next day for free, as well as a good breakfast on the patio out front. The hotel has everything you need and seems brand new, however it has been running for over 10 years." My wife and I needed a hotel to stay in that was close to the Athens International Airport but would not be too expensive. We found the Peris Hotel and could not have been happier. The hotel was actually within walking distance of twenty minutes of the beach and restaurants. The room was nice and clean and the bed was comfortable. Breakfast was served to us in the morning in an outside eating area that was very pleasant... The owner took us to the airport the next morning at no charge. I would definitely recommend this hotel to the traveler who is on a budget." 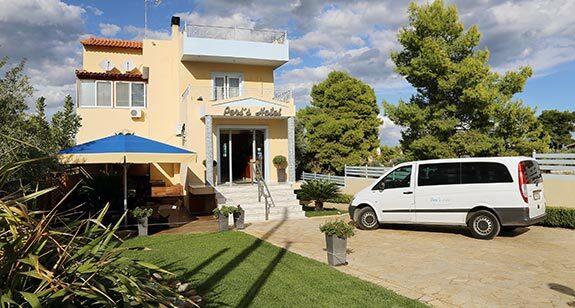 If you need a place to stay near the Athens airport, the Peri’s Hotel is highly recommended... The manager of the hotel or his assistant will be waiting for you at the meeting point when you arrive – and they will take you back to the airport in time to catch your flight, no matter how early or late."